It is difficult to draw a line between fantasy novels and historical fiction. There is a grey area between the two. Take for instance the novel series, A Game of Thrones; if you haven’t read the books, you have watched the movie series. The writer bases the story on the English war between the Lancasters and the Yorks that took years. It is a similar world to ours but with differences that make it a fantasy. You may have an idea of a fantasy novel that you would like to create and have used an essay shortener to help you. But don’t know how to blend it with fictional history. A significant number of the medieval fantasy novels that exist draw their stories from settings and events that are historical. A thorough investigation will make your readers take you seriously. Most fantasy novels use their backdrop as medieval Europe, which may become a cliche. To keep yourself from attaching your story to a real-life historical event, you need to mix different occurrences and events that took place in the medieval times. Go to the local library, if you have too. Don’t bind yourself to a specific period. Reading about the history as at that time will help you keep the world you create, consistent. It will help you in making it more realistic. You need to have a mental picture of the setting of the story. When choosing names for the different areas, try to be creative. Don’t settle for the most obvious ones. Map out the different sections in the setting. Outline the distinct geographical details in each area. What sets it apart from the other regions? It could be a river that flows through the villages, or a castle that towers over the communities. Your knowledge of the period should guide your imagination. Create a world that makes sense and is consistent. Say you are basing your story on Greece, then, how did it look like, around that time? Search the internet for historical information about that period. The world in which you set your story has an impact on how well it performs. 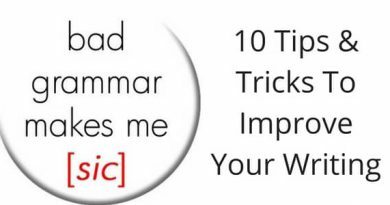 While using a paragraph rephrasing tool, in writing your story, chances are you are contemplating including some elements of magic. Maybe there is an isolated area where those who practice magic live in, and the rest of the population dares not to venture into it. The land could also have some magical elements, maybe a river with magic. And anyone who drinks from it becomes whole again. Determine the function of magic in the story and how it affects your storyline, characters, and setting. You should also decide on whether to base the role of magic to its representation in the medieval times. You could limit it to what was available at that time or vary it. If magic exists, then, how do others perceive it? You can get inspiration for your characters from ancient historical figures. In the book, “A Song of Fire and Ice,” George R.R. Martin uses the House of York and House of Lancaster, as inspiration. What figures existed in medieval times. A typical figure is the town’s blacksmith or priest. Lean toward creating “grey” characters. That is, those who have flaws like a human being. Say, an antagonist that can also do some good. Diversify your characters. Outline the relationship that the people you are talking about, have with the rest of the world. You can also include mystical creatures such as elves and dwarfs. When you create a non-human race, they shouldn’t act or dress up the same way. Distinguish one race, tribe or group from the rest. Without variation, your characters may not feel realistic. Include the societal differences that even exist today. Have an outline of how the plot of the story will play out. It doesn’t have to be complete, and it can also change. Start strong with the first sentence raising your reader’s curiosity and engaging them. 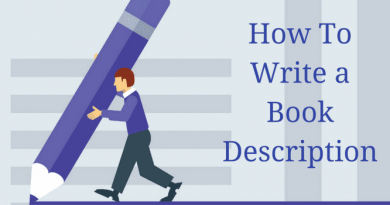 Use unique descriptions and details. Propel the story forward with conflict, both internal and external. It will keep the reader engaged. You can achieve this by creating characters in opposing sided but with the same goal. Their interactions will always brew conflict. Describe the government system in this world. Is it a democracy, dictatorship, etc.? Outline the historical events that influenced the present predicament. It could be relevant wars or alliances. Write the first draft, and revise it using summarize online, if you need to. Writing a medieval fantasy novel requires you to challenge your imagination and also brush up your history. Avoid falling for the cliché storylines and create a unique but believable experience for the readers. 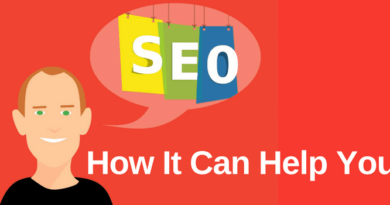 What Is SEO And How Can It Help You As A Writer? Thank you, Lisa. A most useful post. Great article! Very helpful, thank you!